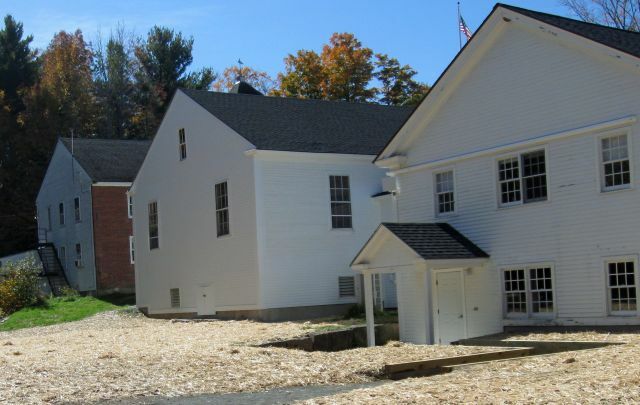 This new housing construction project for the Peterborough Players in Peterborough, NH, consists of six stand along “cottages”. 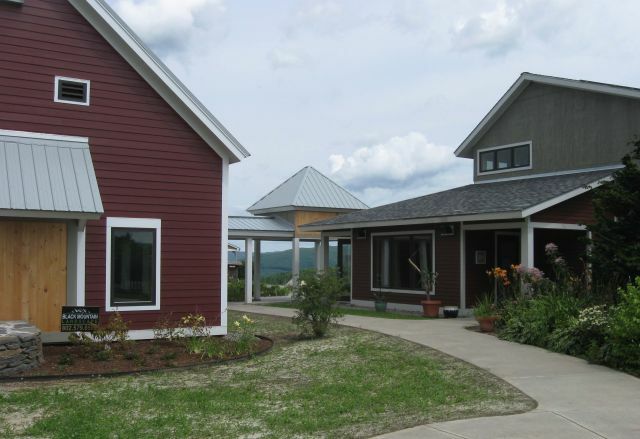 A Community Building is also included in the project and houses a common kitchen, dining area and a laundry room. 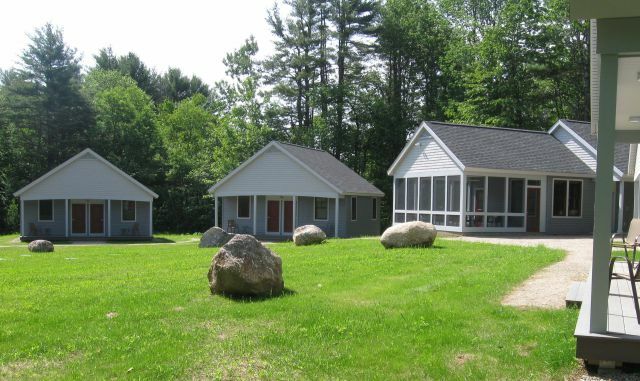 Image 1: “Two of the Six Cottage Dorms” – All cottages are duplex units which will sleep four. 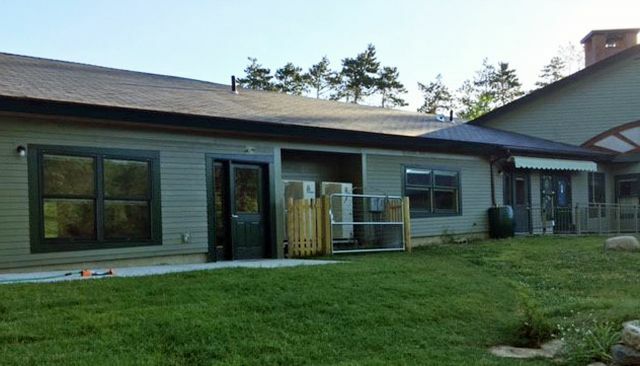 Each cottage has two bathrooms and five out of the six have four bedrooms. 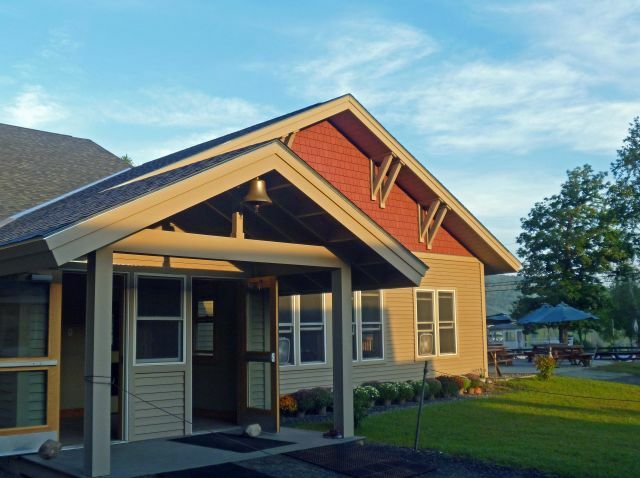 The sixth cottage–which is ADA compliant–has two single bedrooms and one bedroom that sleeps two. 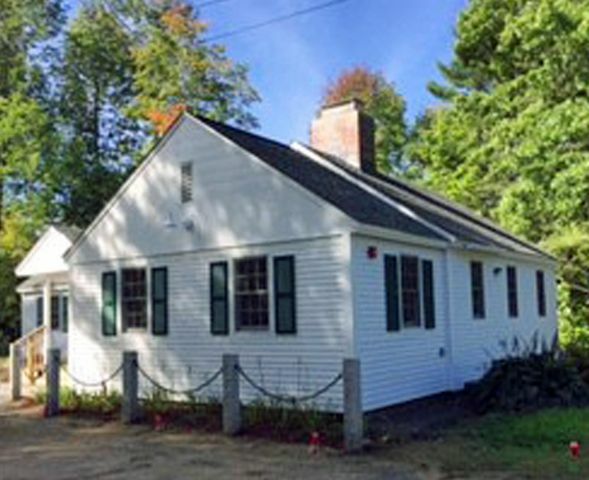 Image 2: “South Elevation of the Community Building” – The Community Building is intended to be the central gathering place for the 24 residents of the cottages. 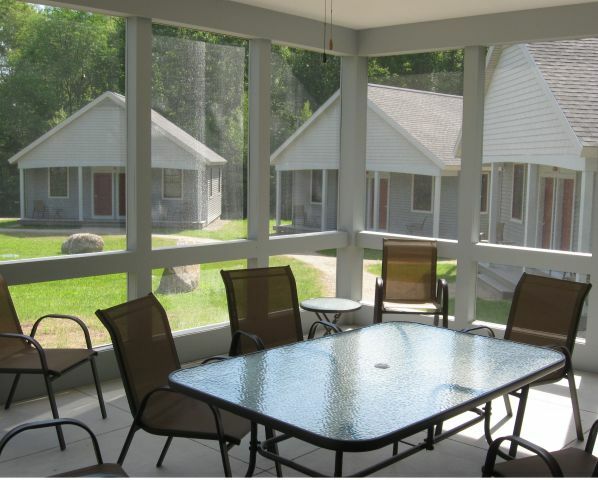 This photo features the future screened porch area. In the foreground is the roughed in fire truck access road that will double as the pathway leading around the central green space shared by the cottages. Image 3: “North Elevation of the Community Building” – The Community Building will have laundry facilities as well as a large common kitchen and dining area. 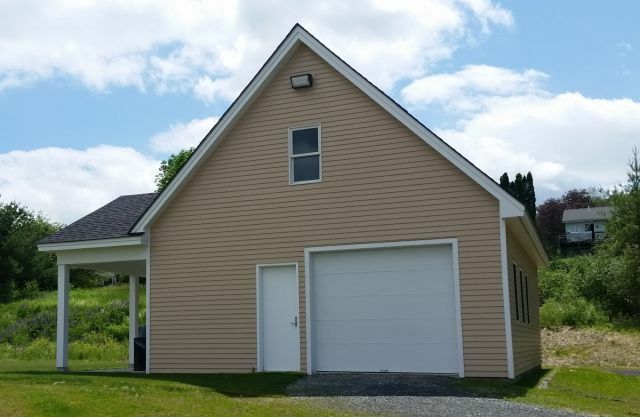 The full basement has infrastructure for the water system that services the six cottages. 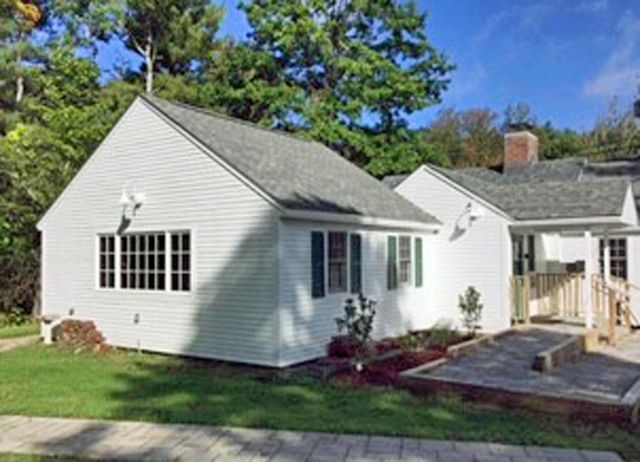 Image 4: “ADA Compliant Cottage in the Foreground” – Five of the six cottages have identical floor plans. 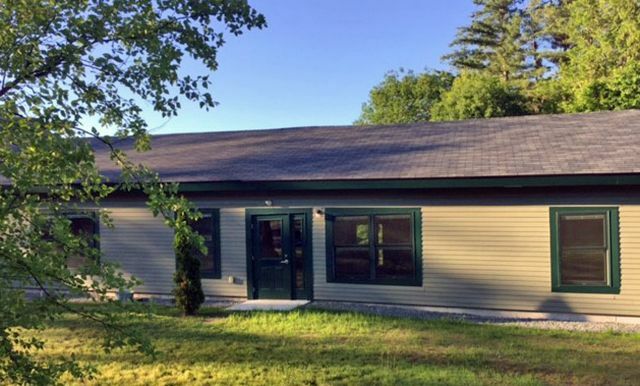 The ADA cottage features a compliant entry ramp, slightly wider doors, and a bathroom that is designed to be accessible in all ways to a wheelchair-bound user including a shower. 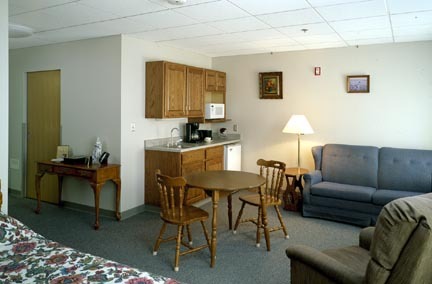 There is also a bedroom designed for two people to share that is larger than the other 22 bedrooms. 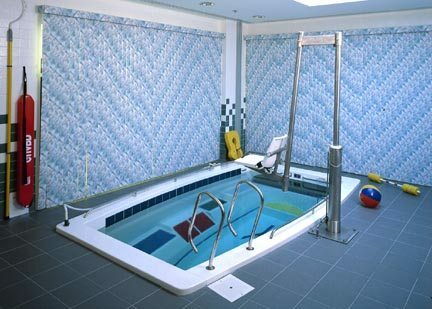 Most bedrooms are approximately 8′ x 14′ whereas the one built for two is approximately 8′ x 23′-6″. 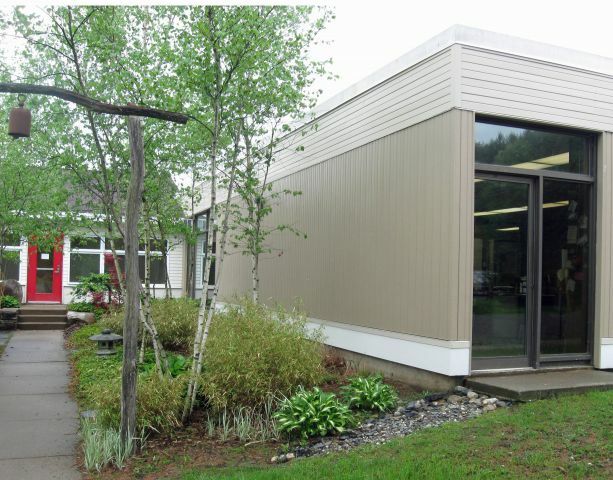 The project consisted of renovations to the Putney Central School for the purpose of improving energy performance of the indoor environment, and to reduce the cost of building operations and maintenance. 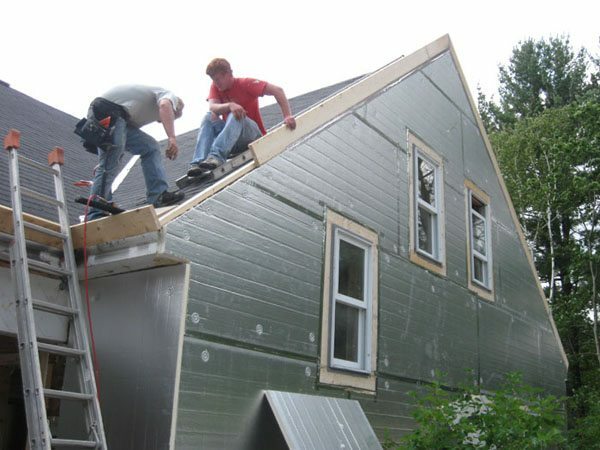 The major portion of the project was the installation of a pellet boiler and back-up oil-fired boiler with new controls. 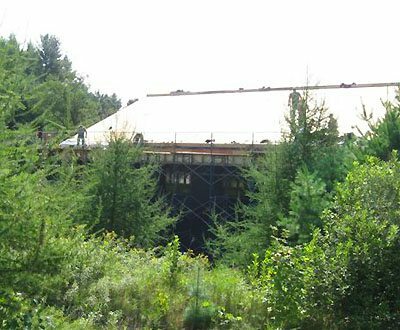 The project consolidated three separate boiler rooms by the removal and re-piping of two boiler rooms and the renovation and expansion of one boiler room. 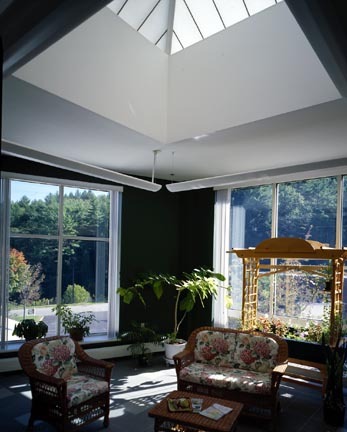 This was the third and final phase of extensive energy efficiency upgrades throughout the entire building. 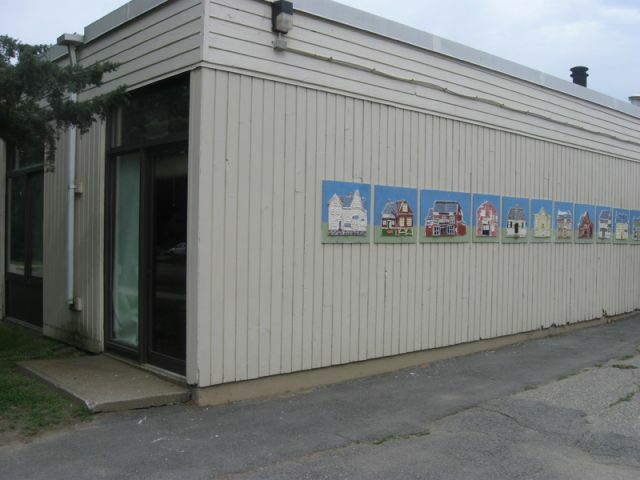 In the case of Putney Central School, energy efficiency upgrades also meant improvements to the exterior of the facility as well. 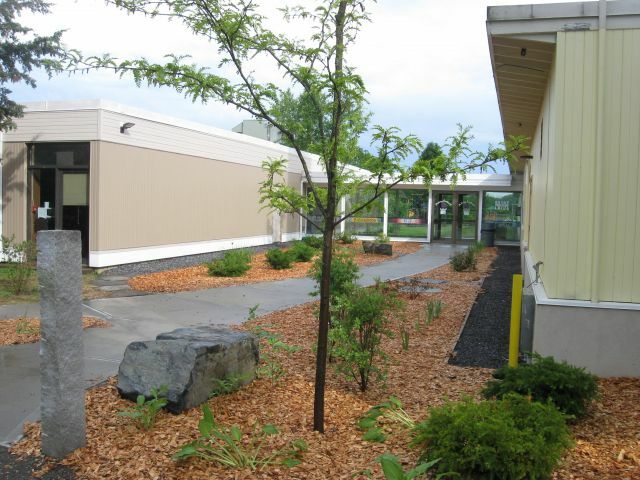 All three phases were done under budget so the school was able to reinvest the savings that were realized in new acoustical ceilings, improved lighting, and landscape beautification. 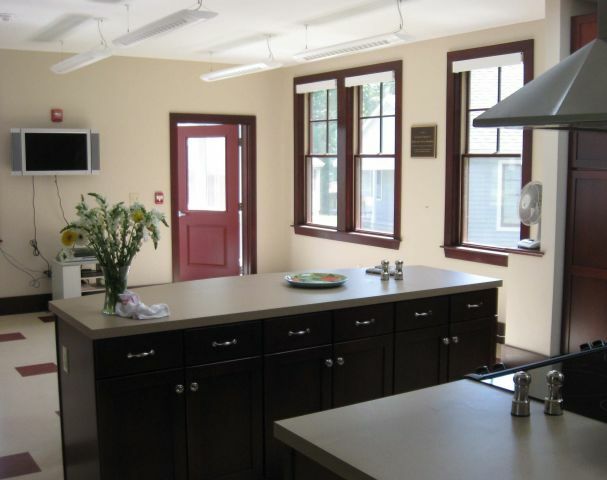 Another key element of Phase III was the expansion and modernization of the school’s kitchen. Putney Central School’s breakfast and lunch programs are incredibly important pieces in the educational puzzle that ultimately enriches the lives of the school’s diverse student population. A.L. 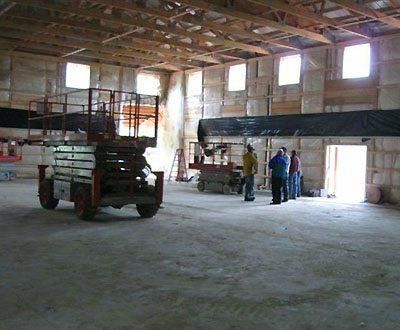 Tyler & Sons, Blanchard & Sons Drywall, Builders Installed Products, Catamount Environmental, Claremont Glassworks, Flooring Concepts, N.E. 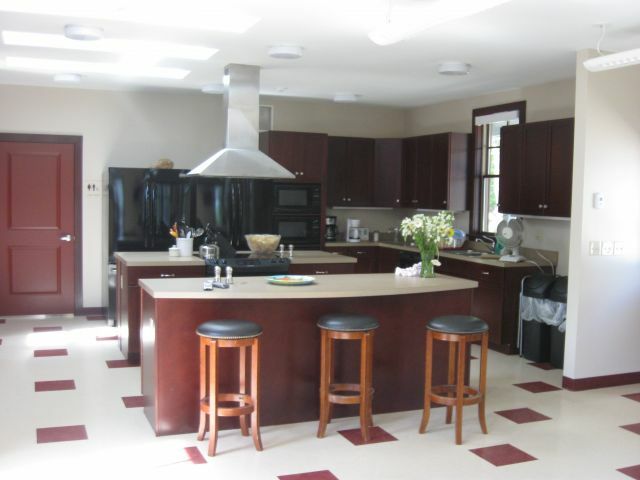 Kitchen Depot, S & S Painting and Decorating, Sandri Energy, Tom Call Excavation, WAL Masonry. 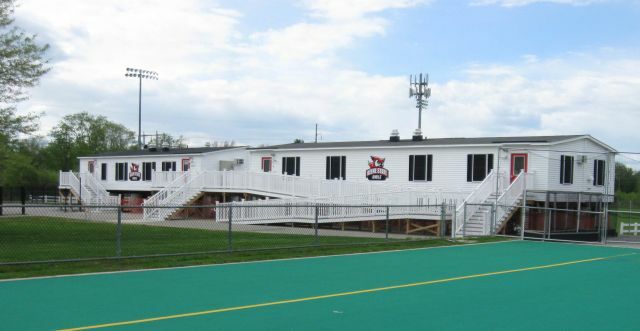 The Team Room Facilities at Keene State College’s Athletic Complex were built within a very large flood plain area in the southwest corner of the city. 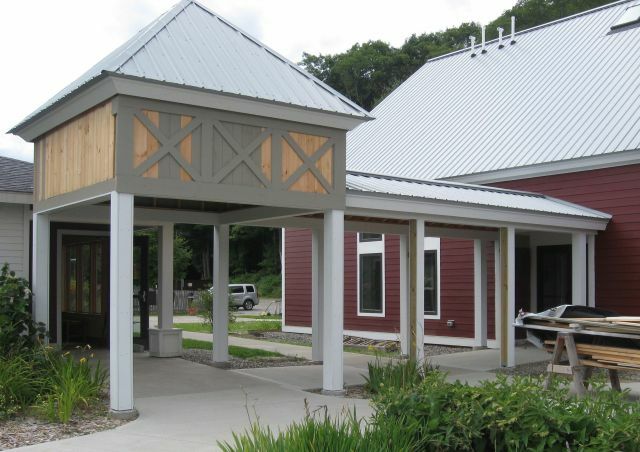 In the aftermath of Hurricane Irene in August of 2011 the City of Keene took another look at its requirements for buildings within the flood plain. The results of that reassessment mandated that KSC raise the team rooms several feet higher than they were situated at during the time of the study. 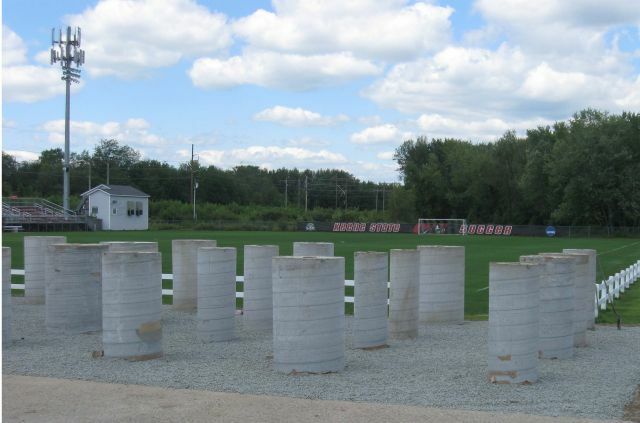 In the Spring of 2013, Ingram Construction moved the team rooms off their bases and relocated them temporarily to another area of the athletic complex. 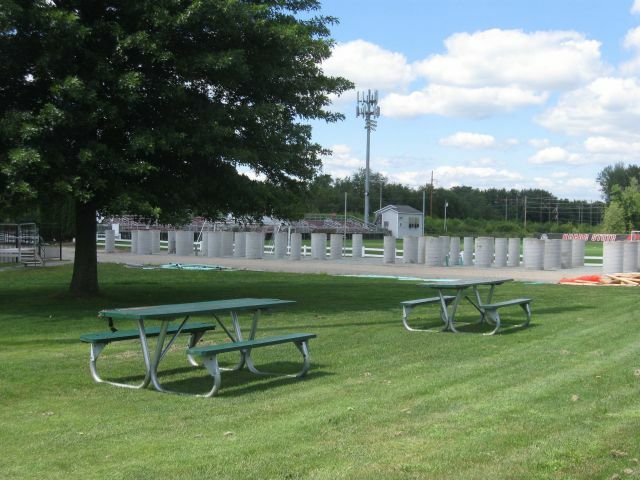 The site was prepared for the installation of 56 new piers 10 feet 3 inches tall and ranging in diameter from 20 inches to 36 inches. 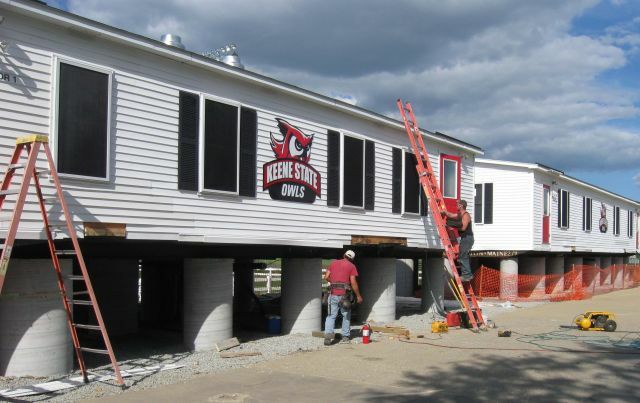 In August the team rooms were reinstalled on their new bases where they should remain, high and dry, for years to come. 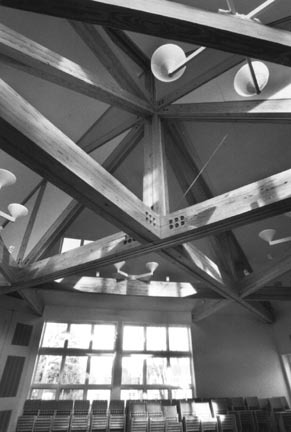 Construction for the Jerome & Elizabeth Aron Library Wing of the Rice Library was completed in the fall of 2003. 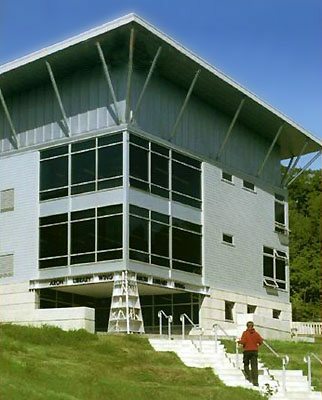 This 2.6 million dollar project included two classrooms, a new medical laboratory, a new computer laboratory, and study and lounge space. 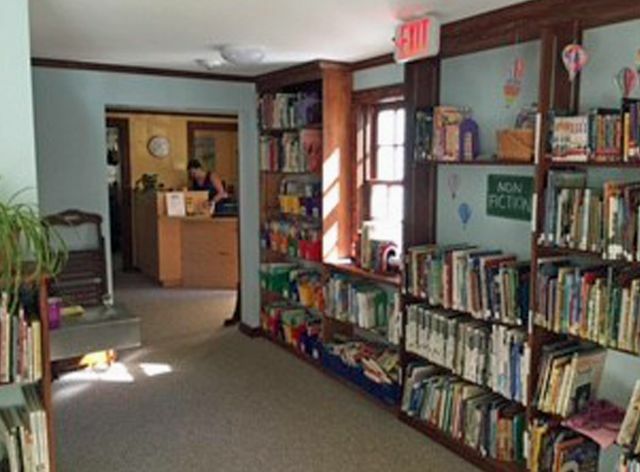 Shelving and stacks were added to accommodate the now 75,000 volume library. 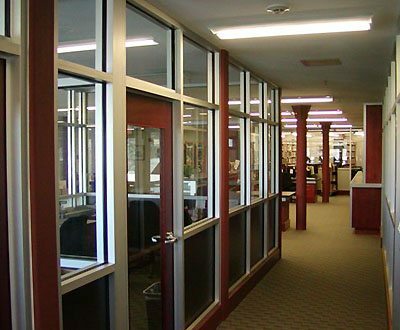 The original Rice Library building received extensive renovations and upgrades as well. 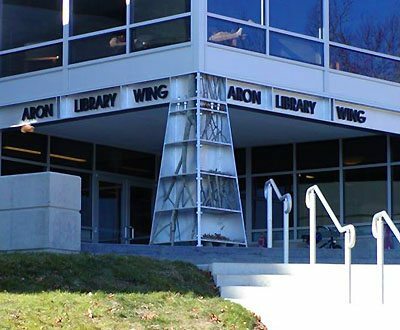 The elevator that was added in the Aaron Library Wing project provided full ADA access to the second floor of Rice. 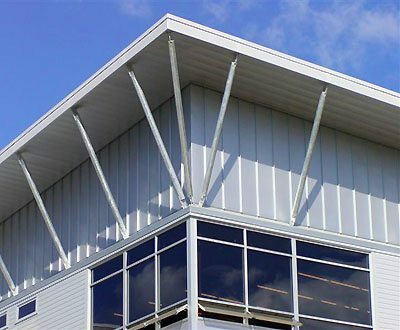 The two wings were connected by an aluminum-clad link, the exterior of which nicely tied together the two distinct architectural styles of Rice and Aaron. 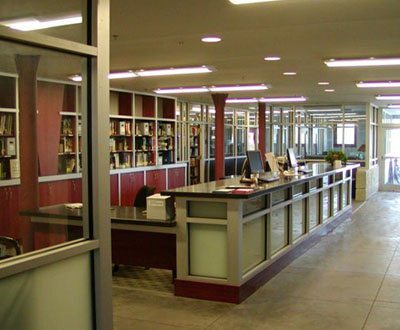 A college’s library is the very heart of the institution. 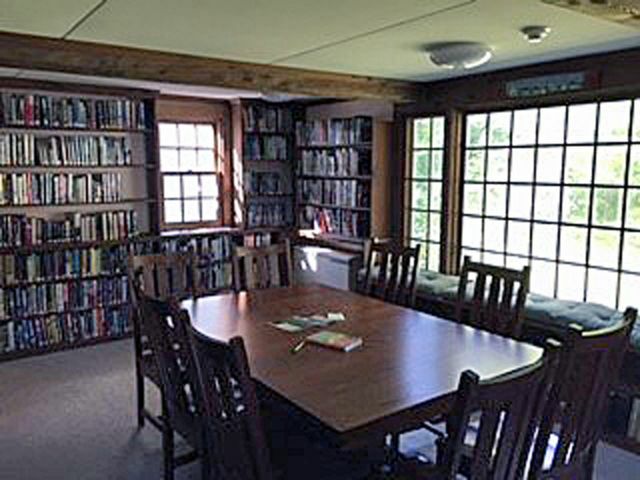 Marlboro College’s Rice-Aaron Library will provide the faculty and students with a versatile, comfortable facility that will meet the ever evolving needs of the college well into the 21st century. 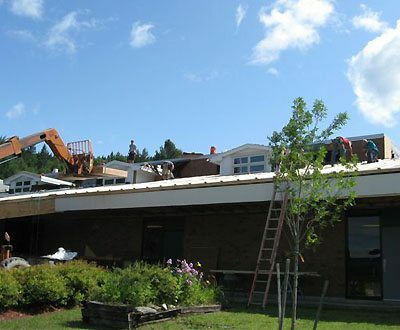 Waits River Valley School undertook emergency renovations to replace its roof and elevator, improve site drainage, and demolish and rebuild eight classrooms affected by mold and/or water encroachment. 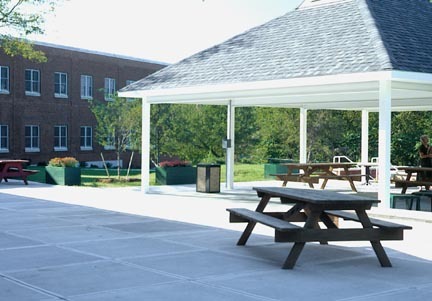 Ingram Construction Corporation completed the project significantly under budget while the school was fully occupied. The safety and comfort of the children and staff were of prime concern to ICC and the project was completed without any breaches of security or significant disruptions to the learning environment. 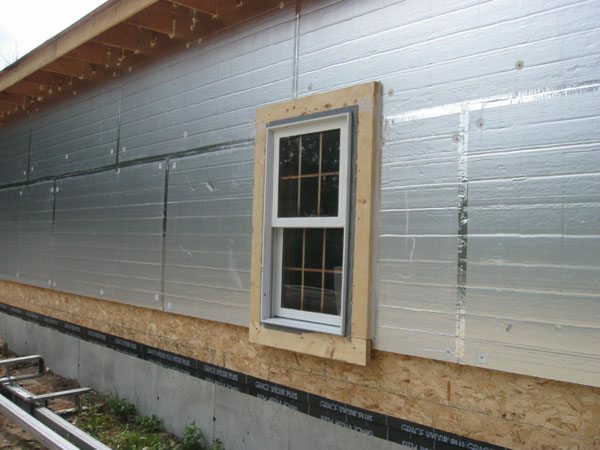 As is often the case when working with existing buildings, there were “found conditions” that expanded the scope of work. Due to the compressed summertime work schedule’s window of opportunity and faced with the possible delays to the opening of school, close cooperation and flexibility were of paramount importance when dealing with unwelcome surprises. 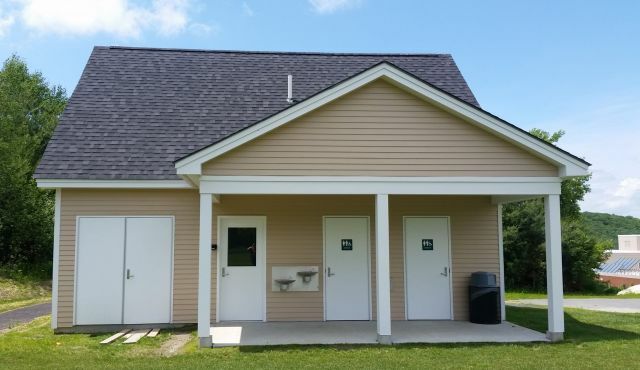 The positive attitudes and energy shared by Black River Design, the Waits River School, and Ingram Construction, all blended perfectly to achieve a satisfactory conclusion to a very hectic summer. 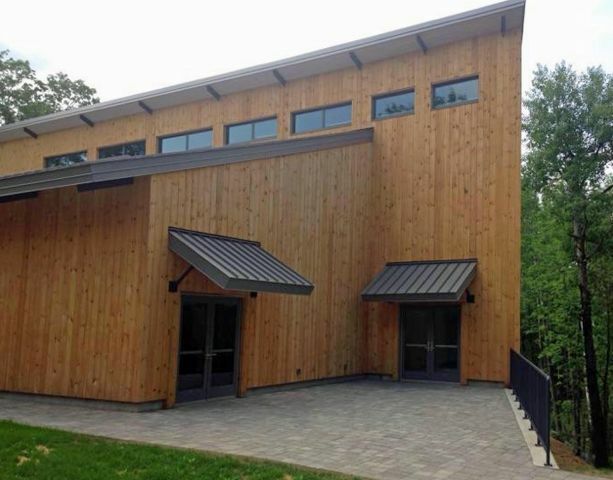 This project serves as a textbook example of how a construction management contract arrangement can and should work. The 38,000 sq. 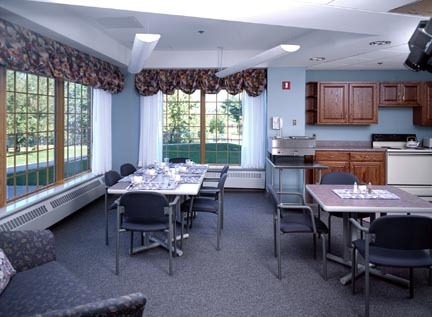 ft. expansion and renovation project at the Maplewood Nursing Home was completed within an aggressive 12-month schedule, with minimum interruption to around-the-clock healthcare services. Further complicating the project was a steeply sloped site and unstable wet clay soil. Using a highly coordinated staged construction process, substantial completion was accom-plished for $3.78 million, about 2% higher than the original bid. The 2% increase through negotiated Change Orders was split roughly in thirds, with 1/3 for found-conditions or code-agency mandated changes, 1/3 for omissions in the original contract and 1/3 from county-mandated changes in the work. 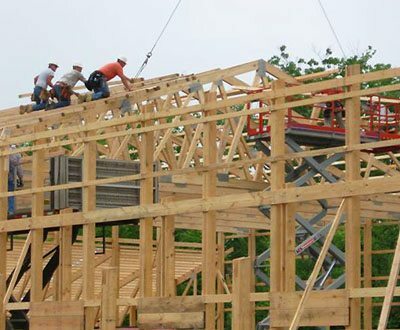 The work was carried out safely and without significant construction-related accidents. 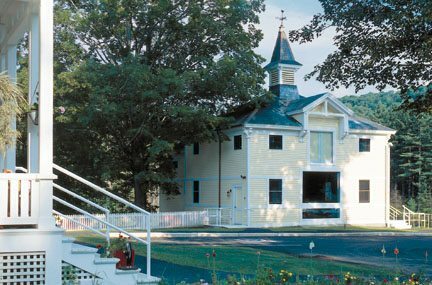 Most importantly, Maplewood’s around-the-clock healthcare services were never interrupted. 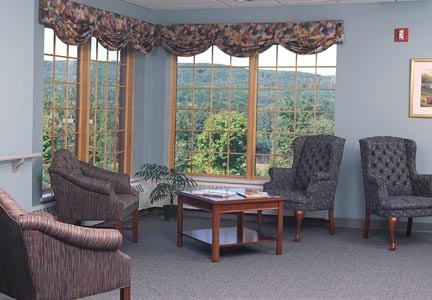 Indeed, during construction the healthcare facility received a “deficiency-free rating” from the Department of Health and Human Services—an impressive feat for any facility under normal circumstances. 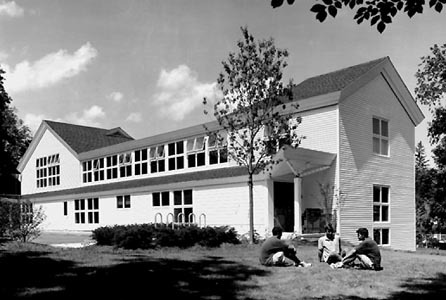 The Roth Center for Jewish Life at Dartmouth is a multi-use structure for Dartmouth College Hillel and the Upper Valley Jewish Community. 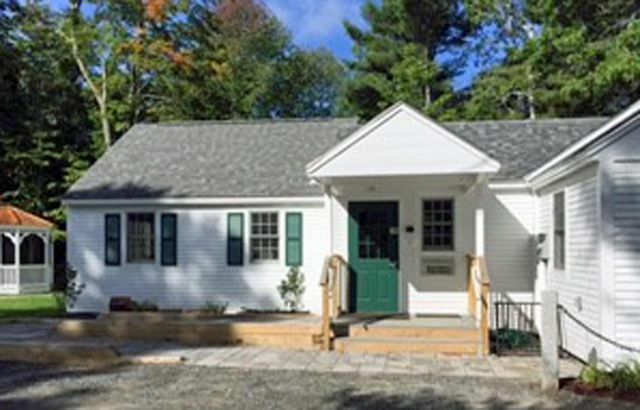 The 11,000 square foot building is nestled in a residential neighborhood that transitions to the Dartmouth campus. 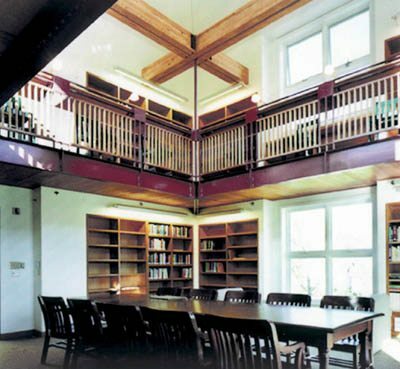 The Sanctuary and Library flank classrooms, a kosher kitchen, offices, a social corridor, and other support spaces. 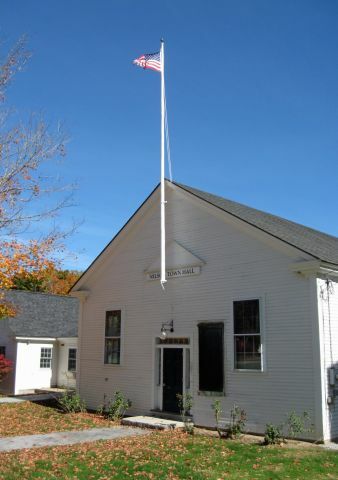 The Town of Temple, NH was the recipient of a Regional Greenhouse Gas Initiative Grant and sought to reduce the carbon footprint of the town’s Mansfield Library and the Municipal Building which houses the town offices and the volunteer fire department. 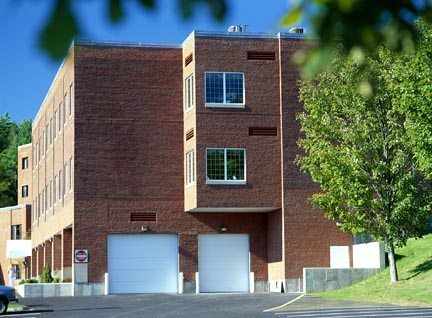 Both buildings received new high efficiency heating systems, had their insulation and air sealing deficiencies corrected, received new windows, upgraded ventilation systems, and had significant upgrades made in their lighting. 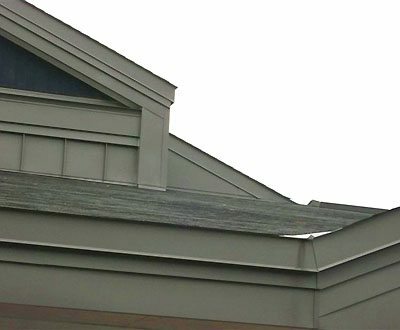 The Municipal Building was also given a new roof. 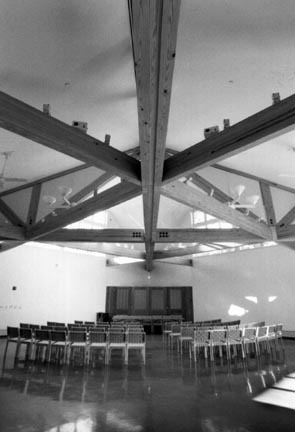 Architect: Paul Mirski & Assoc. 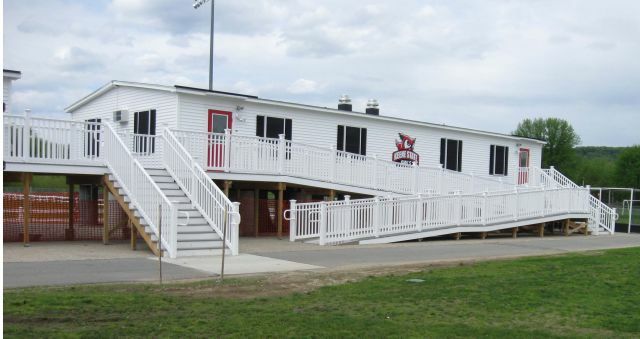 Working in conjunction with a pre-engineered building manufacturer hired by the Episcopal Diocese of Massachusetts (the Owner) under a separate contract Ingram Construction Corporation provided site and infrastructure work as well as all mechanical and electrical systems and interior fit up for this new gymnasium. 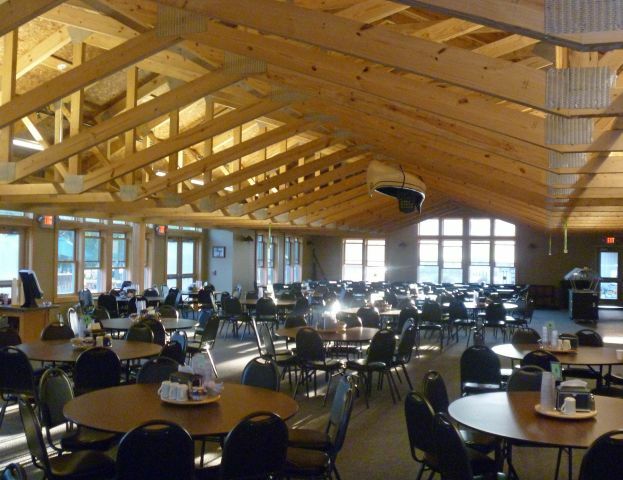 Through cooperation and planning with the Owner and Architect, ICC was able to actually reduce the final cost of the building from its original contract value by 20,000.00! 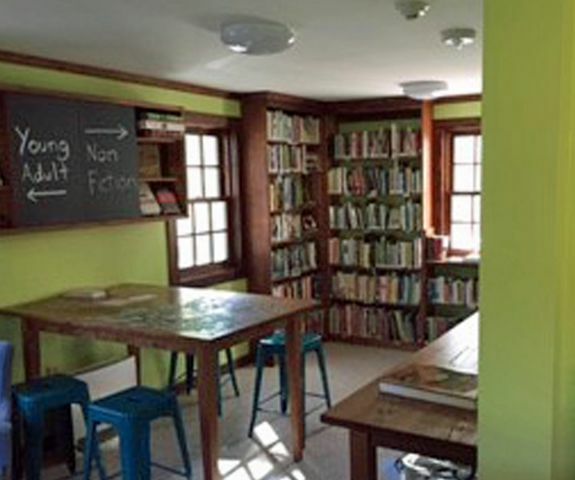 The project consisted of renovations to the 6,500 square foot third floor at Holton Hall. 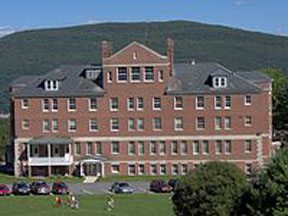 Owned by the State of Vermont and leased to the Austine School for the Deaf, Holton Hall is an historic building that required preservation of existing tin ceilings, wood trim, and wood flooring while bringing the third floor up to mechanical, electrical, and sprinkler code. 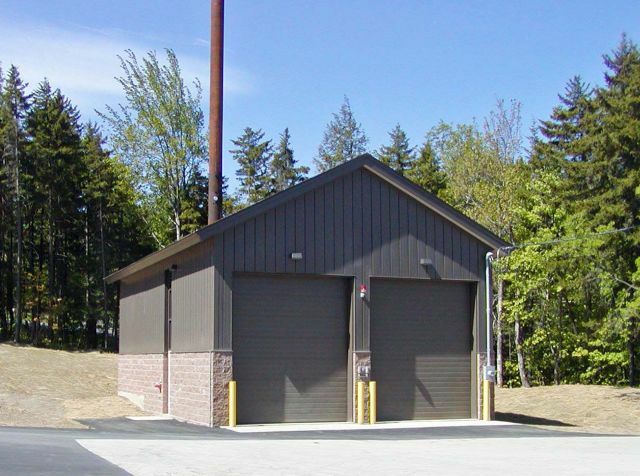 State-of-the-Art data and communications infrastructure was also integrated into the project. 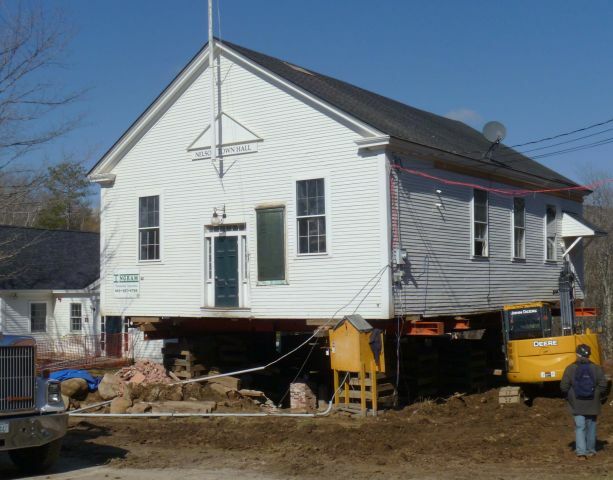 The bottom floors were fully occupied by the Austine School during construction. Working closely with Hilltop and Stevens & Associates as Construction Manager on the 1.75 million dollar performing arts building project our construction team was able to provide a highly energy efficient end product for the school’s music and theatre programs as well an assembly space that doubles as Hilltop’s gym. 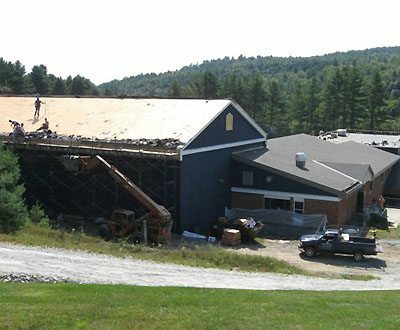 An existing building on the campus was literally chain sawed in half with one half being demolished, thereby providing space for the new theatre/assembly/gym programs, and the remaining half being “adaptively re-purposed” for the music program as well as providing classroom and meeting room spaces. 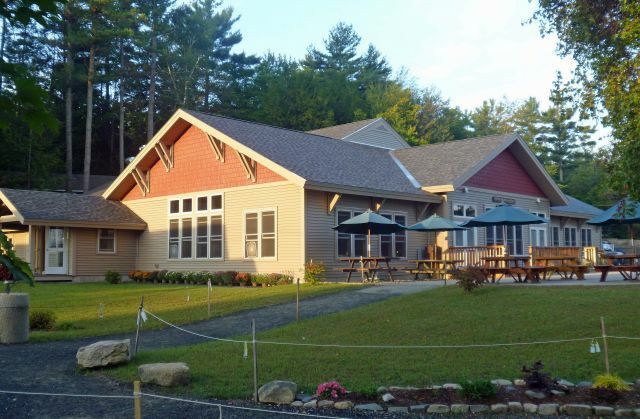 Camp Spofford is a Christian family camp located on Spofford Lake midway between Keene, NH and Brattleboro, VT. 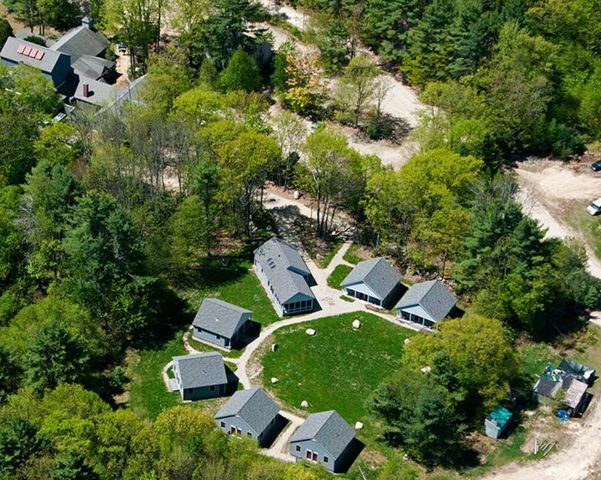 The camp is transitioning into a 12 months a year operating schedule after having been a summer only facility during its 50 year history. 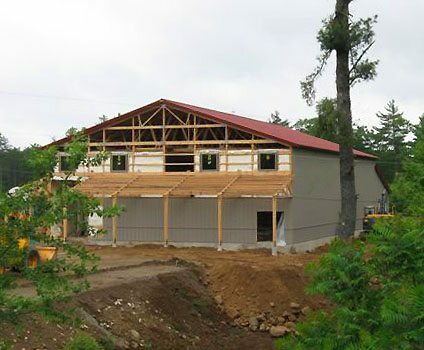 As a result of its continuing growth the camp was in dire need of a new dining hall/kitchen facility. 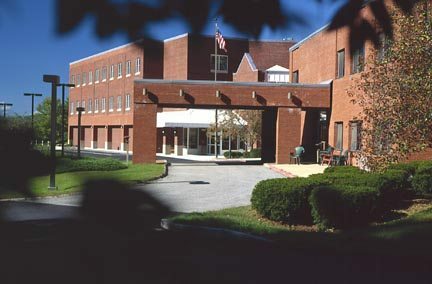 Ingram Construction was hired to provide Construction Management services for the 1.1 million dollar project which included demolition of the old dining hall and its neighboring office building, providing an upgraded electrical service and infrastructure for future digital upgrades, and the construction of the new 8,500 square foot dining hall/kitchen/serving area. 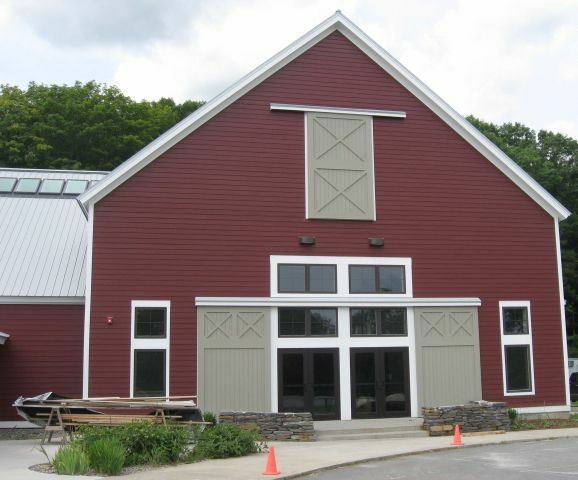 Designed by Keene architect Dan Bartlett of db Architects LLC, the new building is oriented to benefit from spectacular views of Spofford Lake and the hills to the north. 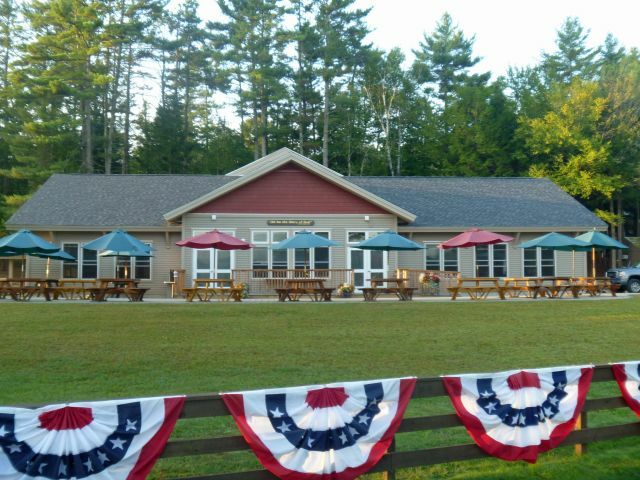 The dining hall was completed in time for the camp’s summer season kick off on Memorial Day Weekend and helps to anchor Camp Spofford’s growth as a conference center, retreat destination, and Christian family camping. 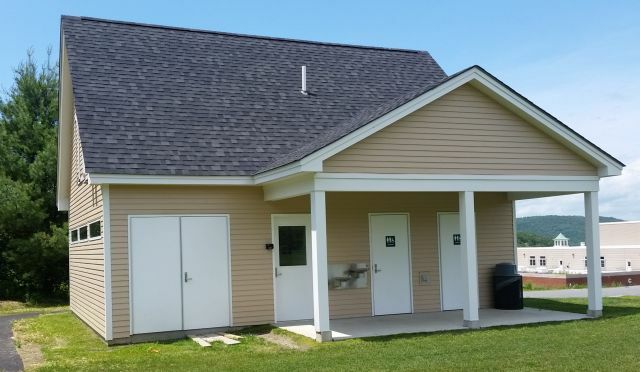 Ingram Construction teamed with Banwell Architects to construct a new woodchip heating plant for the Whitingham VT Middle School. 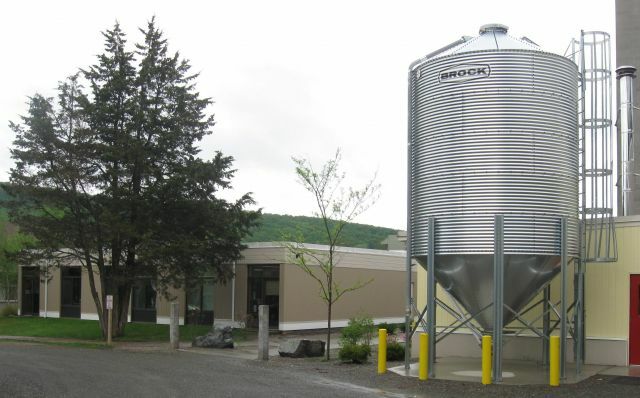 This building houses a massive hydronic boiler and chip storage bunker that make up the fully automated system. 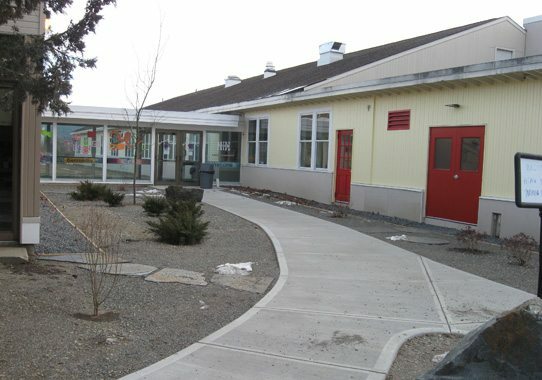 The building is remote from the main school building, so new 8” diameter direct burial jacketed heat mains were run into the existing mechanical room and tied into the existing oil fired system. 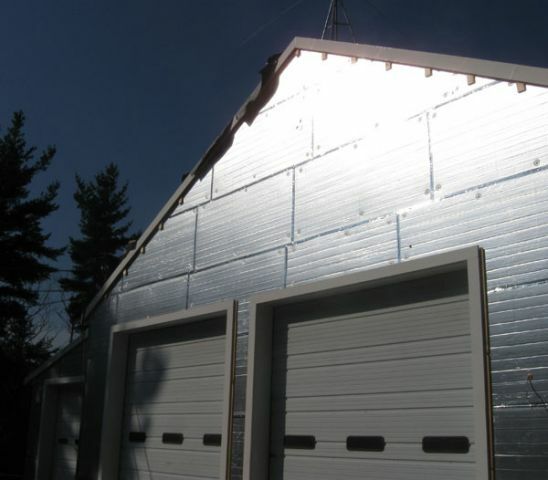 A new control system was added and integrated with the existing building energy management system. 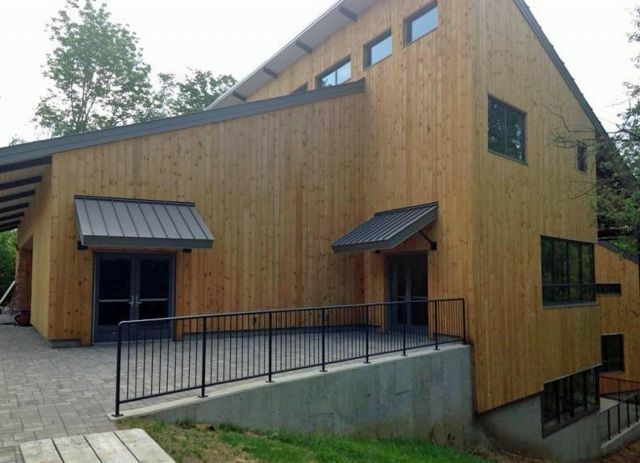 The Snyder Center for the Visual Arts at Marlboro College is 12,600 square feet of new construction which replaces the Perrine Building at the south end of the campus. The building will house Ceramics and Sculpture Studios, a Wood Shop, Digital Media Lab, Classrooms, and Gallery and Support spaces. The building was designed by Gensler’s Boston office.